ALL FOR SPORT FOR ALL – Final products now available! 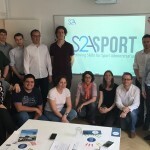 Recently, the European Observatoire of Sport and Employment (EOSE) and the European Paralympic Committee (EPC) with the support of a strong partnership composed of 14 organisations led the EU funded project titled “All for Sport for All: Perspectives of Sport for People with a Disability in Europe”. 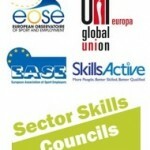 The All for Sport for All project is now finished and its main objective was to map the status quo of the disability sport sector, to provide information and guidelines for challenges and activities for the sector at the European level, and to give EU stakeholders a better platform for exchange on future development. 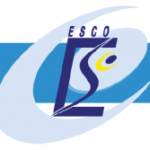 EOSE would like to thank all those who contributed to the successful completion of this one-year project funded under the 2009 call for proposals in the framework of the Preparatory Action in the field of sport. The outcomes of the project could not have been completed without the contribution and the active support received from the partnership, and the various associated partners from different countries and sport sectors which represents in total a network of more than 50 organisations. We are delighted to inform you that the Summary Report of the project has been published and it is now available online. The report’s objective is to provide the reader and especially the EU and national sport authorities and stakeholders dealing with sport for people with a disability or with disability in general with an overview and review of the current status quo of the sector, its challenges and some recommendations for the near future. We remind you that the content of that Report reflects the view of the experts involved in this project activity, and due to the nature of the Preparatory Action project, the Summary Report is not meant to be a scientific paper covering all details and concepts related to disability sport in Europe or to include all kinds and varieties of disability sports or national disability sport sector aspects, information, activities, practices and contributions. But by drawing conclusions and recommendations, the ASA report has the goal to help opening the door for a broader European dimension of disability sport with further trans-national and trans-sectoral cooperation and sustainable development, and a more aligned and evidence based work in the future.